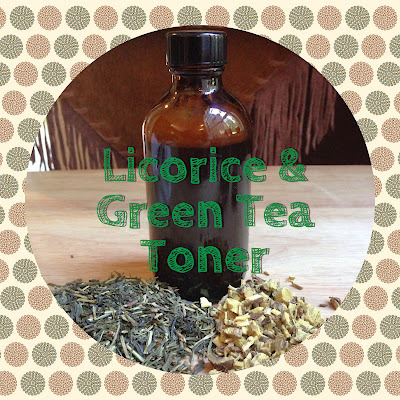 I created my Licorice & Green Tea Toner to help support a healthy and evenly toned complexion. 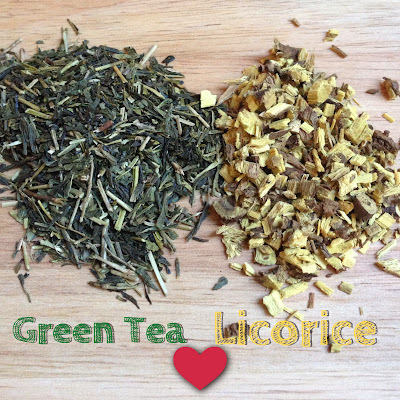 Licorice Root tincture (Glycyrrhiza glabra) is often suggested for use on dark spots and to possibly lighten pigmented skin naturally. Green Tea tincture has a high amount of flavonoid phytochemicals called polyphenols (catechins) such as gallocatechin, epicatechin, epigallocatechin gallate (EGCG) and epigallocatechin. It is suggested that the polyphenols in green tea may offer protective support against free radicals and act as a potent antioxidant. I also use Aloe Vera Gel and Witch Hazel in my recipe. 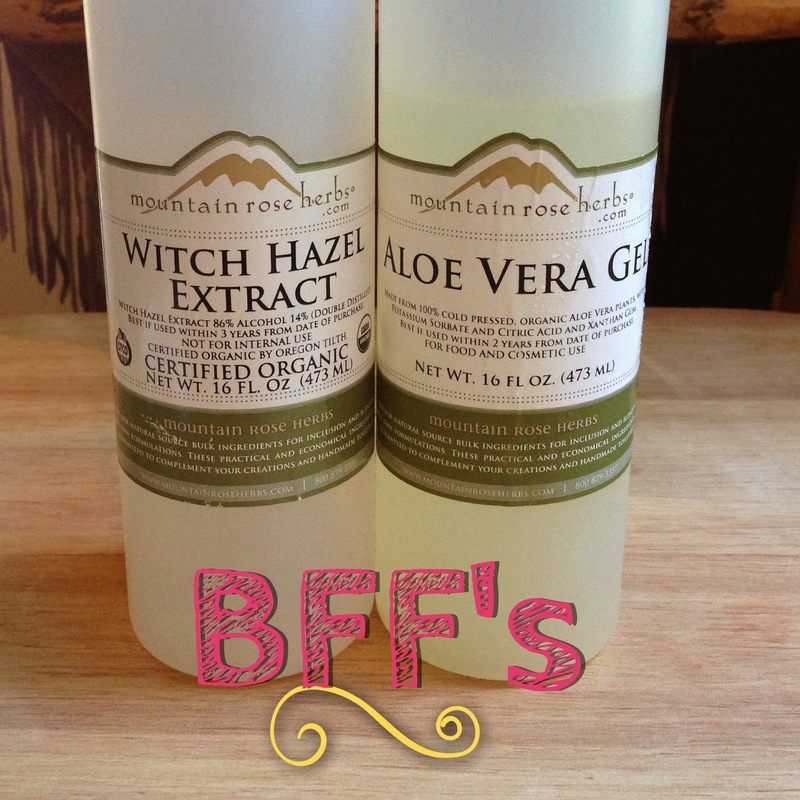 Mountain Rose Herbs Aloe Vera Gel is made from the pulverized inner fillet of certified organically grown Aloe Vera plants and their Witch Hazel Extract is a potent double distilled true Witch Hazel extract with only 14% alcohol. I also use four wonderful hydrosols in my recipe. Hydrosols are produced from steam distilling plant materials and have similar properties to essential oils, but much less concentrated. They contain all the beneficial components that whole plant materials have to offer. I use Calendula, Tulsi, Yarrow, and Geranium Hydsosols in my recipe. Calendula hydrosol is from the steam distilled flowers of Calendula officinalis and is a well-known for its therapeutic properties. It makes a perfect addition to facial toners. It also has a very refreshing aroma. Tulsi hydrosol is from the steam distilled aerial parts of Ocimum tenuiflorum and is very soothing to the face and body. Geranium hydrosol is from the steam distilled aerial portion of Pelargonium capitatum and is very balancing to the skin. Yarrow hydrosol is from the steam distilled Achillea millefolium and is very cleansing and astringent and great for blemish-prone skin. 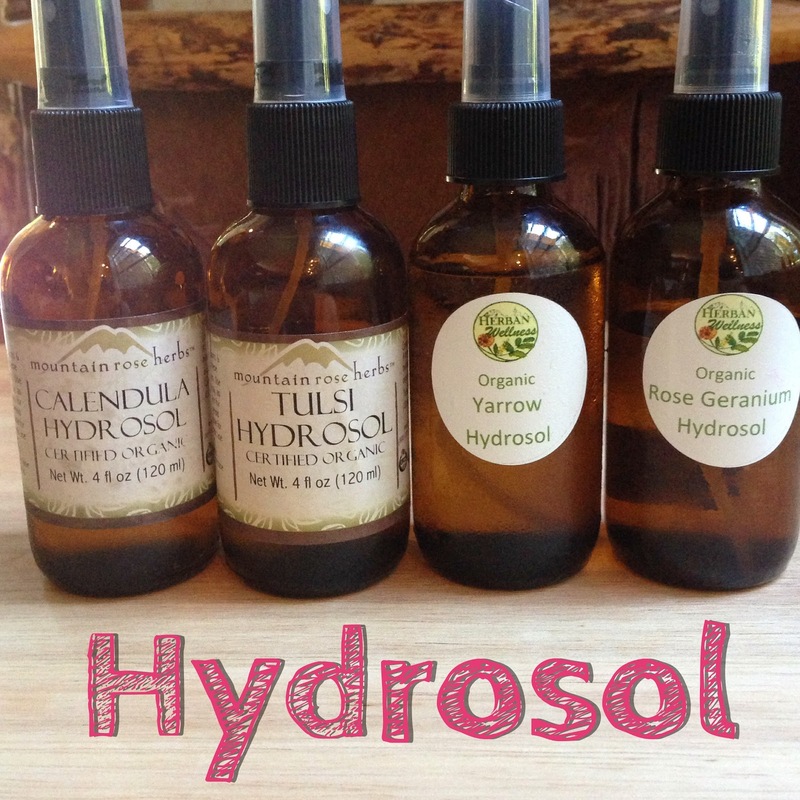 Check out Mountain Rose Herbs for a wonderful selection of hydrosols. 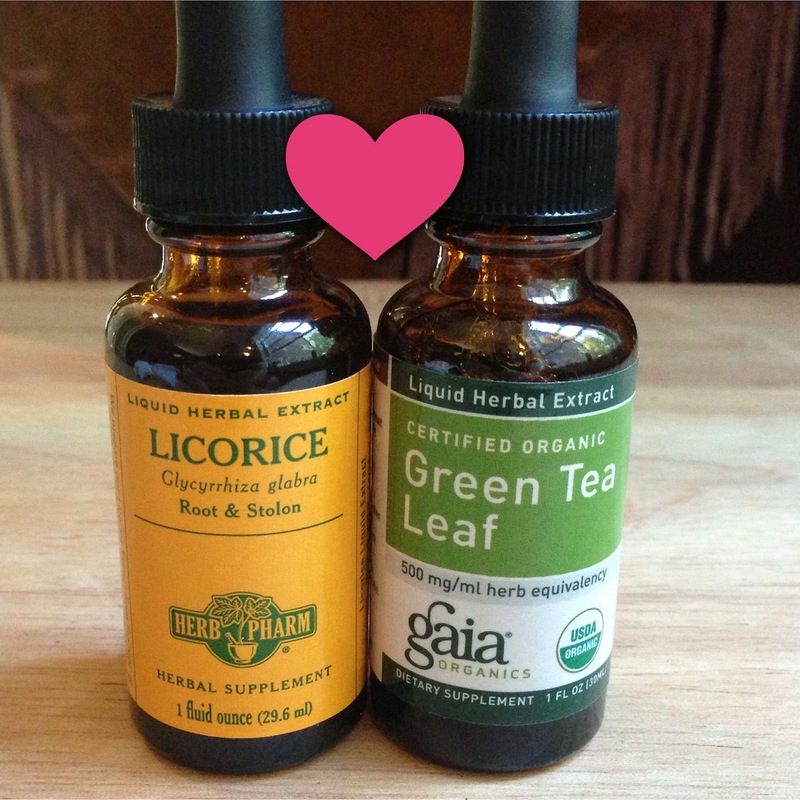 I use Licorice tincture which has the constituent Glycyrrhizin and is made from the dried root & stolon. 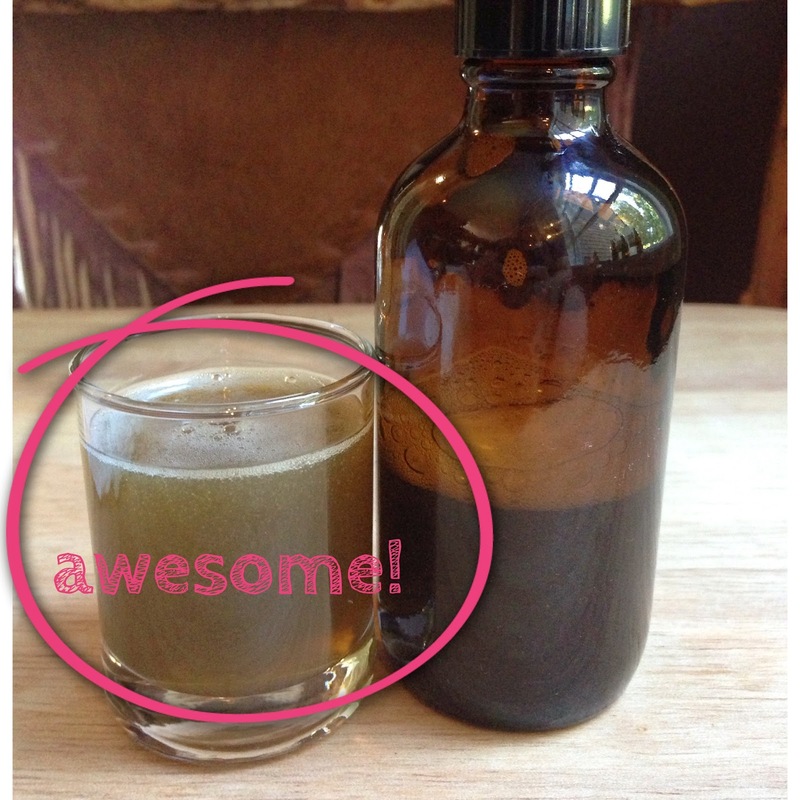 You can get tinctures from Gaia, Herb Pharm, or Mountain Rose Herbs. You can also make your own. Combine all the ingredients into an amber bottle and shake well. 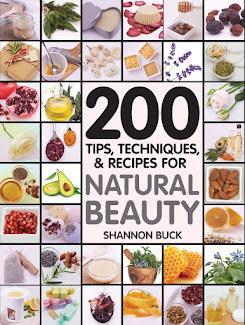 To use: shake well and apply a generous amount to a cotton ball and massage gently over cleansed skin to tone and soothe. Avoid contact with eyes. This is what the finished product looks like. It has a wonderful herbal aroma. Discontinue use if irritation occurs. If you have any medical issue, please discuss the use of any and all herbs with your physician first. Herbs can be very potent and are sometimes not recommended for use by pregnant women, those on medications and those with medical problems. I have a super embarrassing confession to share....ready for it..? A few weeks ago I was at a water park having a blast with my kiddos. After a few hours my skin started to dry out and feel really bad. Silly me, I forgot to bring lotion with me. I knew that I needed something to moisturize my parched skin ASAP. I went into the little snack shop and realized that the only type of lotion they had was chock full of artificial junk and parabens. I promised myself a long time ago that I would not use paraben containing skincare under any circumstances. About an hour later I was in desperate need of something to sooth my dehydrated skin and I looked over towards the snack shop and noticed little packets of mayonnaise. Yes, I did what you are saying to yourself you hope I did not do. I moisturized myself with mayonnaise packets! (I warned you this was embarrassing!). My skin felt instantly better, and no one seemed to notice that I smelled of sandwich condiment. You know, a lotion is not much different than a packet of mayonnaise. You have the water phase, the oil phase and the emulsifying phase. Blended all together, the oil and water stay happily combined. Which leads me to my point in all of this. I have a super easy lotion recipe for you that smells like coconut and is light, creamy and ultra moisturizing for your entire body. Place the aloe vera gel in one glass container and the oil phase ingredients into another glass container. Sit in a simmering water bath and bring both containers up to 150 degrees. Pour the aloe vera gel into the oil phase and mix on medium speed until the mixture thickens and cools to 100 degrees. 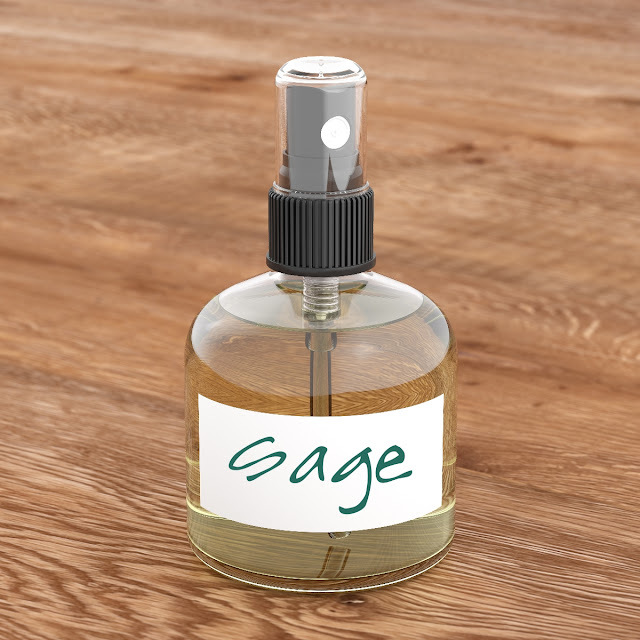 Mix in one tablespoon of organic coconut extract for a delicious coconut aroma. To naturally preserve the lotion, add in 5 grams of Leucidal Liquid and blend well. Sterilize a container and a funnel and pour the warm lotion into it. If you choose not to preserve your product, please remember to store it in the fridge and use within a few weeks.